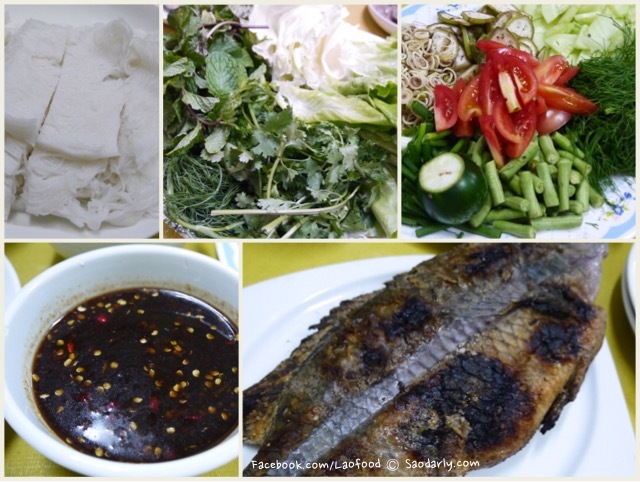 Tilapia Fish Wraps (Phan Pa Nin ພັນປານິນ, ໝ້ຽງປານິນ) for dinner in Vientiane, Laos. The tilapia fishes were stuffed with lemongrass and seasoned with salt before grilling. 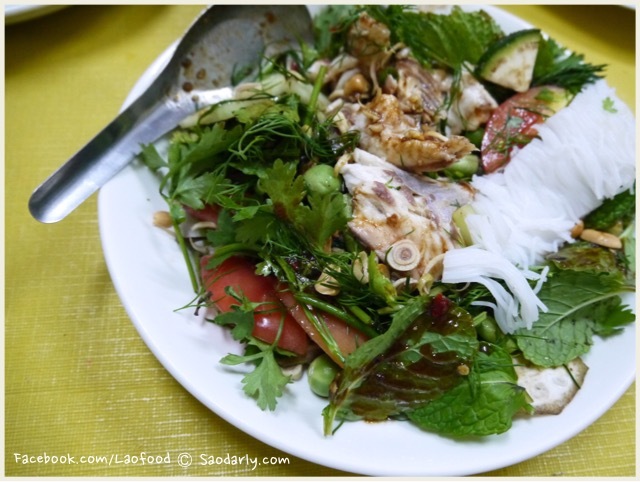 The fresh herbs, vegetables, and vermicelli rice noodles were bought from the local market along with the spicy dipping sauce for the wraps. It was a delicious dinner for everyone to enjoy. When someone in the family gets tired of wrapping individual piece of lettuce or cabbage with the fish and the ingredients, the alternative way to eat is to mix all the ingredients together, turning the wraps into a salad. Then all one has to do was to eat it up with a spoon or fork.